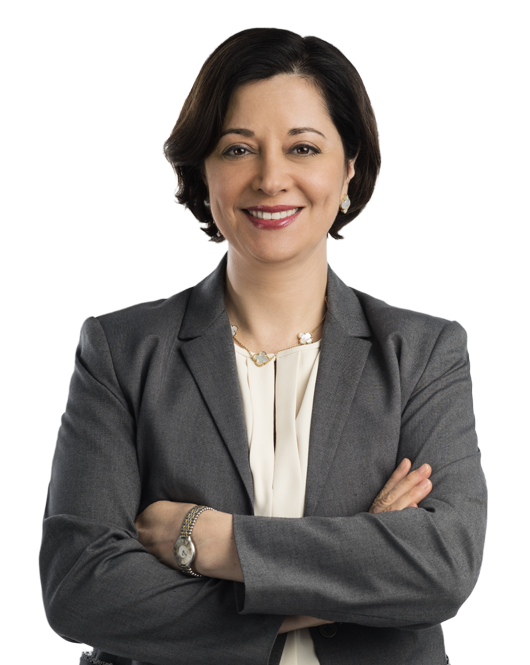 Lamia Matta practices in the area of litigation and global compliance. Ms. Matta counsels and represents clients on matters involving the Foreign Corrupt Practices Act (FCPA). She has conducted internal investigations in multiple countries on behalf of multinational corporations and has worked on numerous FCPA due diligence reviews in the lead-up to major acquisitions and mergers. Ms. Matta has also represented multinational companies in connection with potential or ongoing Securities and Exchange Commission (SEC) and/or Department of Justice (DOJ) investigations including matters arising in the United States and around the world. In addition, Ms. Matta is experienced in all phases of civil litigation and has successfully defended clients in multi-million-dollar suits involving numerous jurisdictions and taking place in multiple countries. Ms. Matta has recognized experience in the Middle East and North Africa and has represented both U.S. and non-U.S. clients -- private and public businesses, as well as governments -- in international trade, commercial, and criminal defense matters arising from the transaction of business between the United States and the Arab World. Ms. Matta also has significant experience in international public law issues and has delivered numerous presentations on these matters at international conferences and before international diplomats. Before joining Miller & Chevalier, Ms. Matta worked for a number of years as a legal adviser in the peace negotiations between Israel and the Palestinian Authority. In that role, she prepared numerous opinions relating to governance and anti-corruption, judicial reforms, land laws, land policy regimes, and elections laws. Ms. Matta has managed advocacy campaigns for international non-profits, served as a Federal Court law clerk, and worked at a number of human rights organizations. Represented a client defending multiple civil suits under the Anti-Terrorism Act (ATA) and Torture Victim Protection Act (TVPA). Cases presented complex questions of jurisdiction, proof, liability and other issues of first impression under the ATA and TVPA. Representation involved challenging discovery burdens, including locating and collecting archived material outside the United States and in a foreign language, conducting discovery pursuant to the Hague Convention on the Taking of Evidence Abroad in Civil or Commercial Matters, interviewing numerous foreign witnesses and negotiating substantial geo-political hurdles to ensure effective representation. Conducted a global anti-corruption risk assessment for a telecommunications client facing a multi-law enforcement agency investigation into its business practices. Risk assessments involved substantial on-the-ground review and interviews across multiple Central Asian and Eastern European countries, and often involved negotiating complex local data protection rules to obtain necessary information. Conducted follow-up investigations and provided compliance advice as needed based on issues arising from the risk assessments. Conducted global anti-corruption due diligence on behalf of a large company in an oil-related industry seeking to acquire another company in the same industry. Developed a strategy for reviewing operations in over 30 countries including reviews of joint ventures, third party agents, vendors and consultants. Worked with a large team to conduct interviews in Libya, Oman, Vietnam, Indonesia, Malaysia, Egypt, Nigeria, China, Uzbekistan, Russia, Algeria, Dubai, Kazakhstan, India, Singapore, Brazil, Argentina and other countries. Prepared comprehensive reports and recommendations and presented findings at various levels of the company hierarchy. On behalf of a major multi-national corporation in the oil and gas industry, investigated an attack on their base in Iraq, including consideration of the issues played by Sunni-Shia disputes and the company's potential exposure related to the attack. The investigation included fact-finding trips to Iraq, interviews of local personnel, interviews of various special forces security personnel and considerations related to cultural sensitivity operating in that environment. Conducted multiple inquiries into anti-corruption matters on behalf of a large company in an oil-related industry. Conducted investigations in Gabon, Libya, India, the United Arab Emirates and Iraq. The investigations resulted in no new sanctions or enforcement actions against the company and satisfactory evaluations of the company's compliance and enforcement protocols. Served as Independent Examiner of a Swiss bank pursuant to a DOJ program involving the banks' cross-border business and use of undeclared accounts by U.S. persons. Conducted an internal investigation in the UAE on behalf of a Fortune 500 manufacturer of industrial pumps, valves and seals involving allegations of corrupt payments by third-party agents. Lamia R. Matta will speak during American Conference Institute's (ACI) 9th Global Forum on Anti-Corruption Compliance in High Risk Markets. Lamia Matta commented on the arrest of former Hong Kong home affairs secretary Patrick Ho Chi-ping and the Department of Justice's (DOJ's) focus on prosecuting individuals for corporate misconduct. In her October 2015 BNA article, Lamia Matta discusses challenges companies face when looking to do business in the Middle East as well as strategies for addressing those challenges.